Go to Alchemy of Horus (March – May) for course details. Go to Rhythm Masterclass (June) for program details. “During this Rhythm class through Ann’s channelling, the Masters brought in higher energetic vibrations of healing and I felt being more integrated through the meridian pulses. At the end of the class, my kidney meridians were buzzing with energy and I am certain that deeper healing of this organ took place. Rhythm Masterclass came in most timely for me after the recent Alchemy of Horus (AOH) Healing Course which had prepared my body in transitioning to higher realms of consciousness. At the AOH class, I was shown by Uraeus (symbolising my psychic self) how to attune and activate the medulla oblongata using cranio-sacral techniques. This new energy work will assist me to better fulfill my soul mission to be in higher service to others. Go to Flourish Workshop for program details. “Ever since the activations by and immersion in the FLOURISH energy field, i personally feel expanded beyond my current self. It feels like I’ve broken through a glass ceiling. Previously, i was aware of my chakras, up to my soul star, but since the opening and awakening of the higher intergalactic portals along my energy body, there is a feeling of boundlessness, of energies no longer moving in a local sphere. Truly intergalactic! On a practical level, my tarot readings for clients have taken on a new dimension. With The Sirian High Council as a guiding intelligence, I find my interpretation of tarot images and understanding of my clients needs have become clearer, more creative and more effective than ever before. I also find it a blessing to be able to connect to a much vaster intelligence (Intergalactic Federation of Light) every time I find a need for greater support in the work that I do. Go to Workshop Details for more information on workshop. “How I loved being at Song of Atlantis with everyone, all such beautiful people, for such an auspicious moment in time of gifting us with the New Atlantis programmes. Amara-Tia Ann, whom I have the deepest honour, respect and admiration for brought us important information from the Spiritual Hierarchy, connecting us with our God consciousness through our higher heart chakra. What a very special moment in time Song of Atlantis has been for me. My life has so much more meaning and I feel at peace with myself knowing I am one with everyone bringing in Light and Joy to all people and all life upon this Earth. I have always wondered what my true purpose is here on earth and now I don’t need to have that constant nagging thought which made me feel insecure about myself. “It is difficult for me to put words to the enormity of my experience at this workshop. I left feeling radiant and cleansed, inspired and joyful, nourished and enlivened. I was drawn to attend by some unconscious magnetic pull and really had no idea what I would discover or experience. But what Amara Tia held and channelled was a magnificent mix of magic, science and divinity. The music and song offered by Annwyn and Raeul enriched the teachings and were teachings and channellings in themselves. 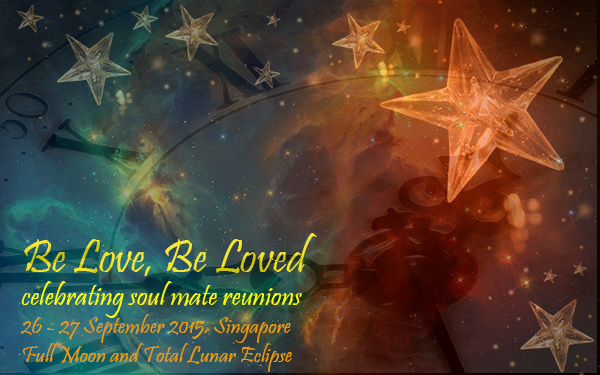 “I am so glad I attended the first session of The New Human Body in Singapore over the Equinox, Super Moon and Eclipse. I highly respect Ann Tay as a powerful healer and teacher. The teachings she channels in her own unique way ( if you have never heard someone speaking and being ” light language”, you have to attend this workshop!) are unique and always very precious and empowering and it was the case again for this workshop empowered by Cosmic Master Thoth. Go to Workshop Details for more information. 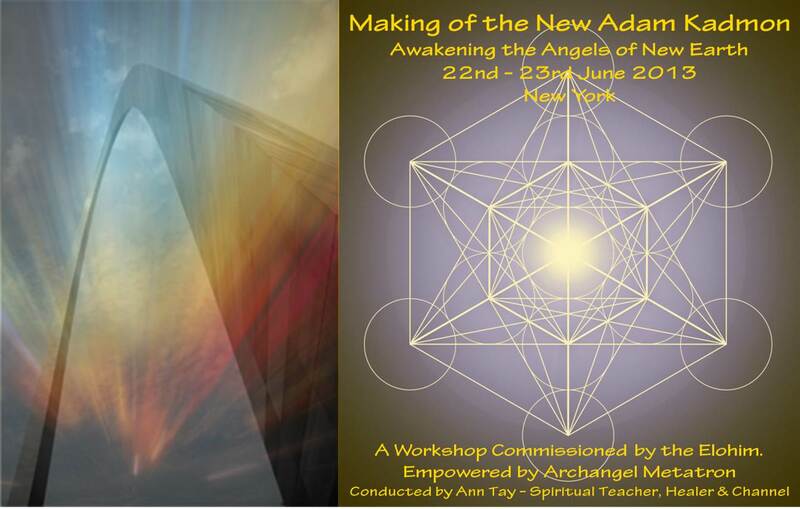 ” In August this year, I resonated with Amara Tia’s Rising of the Phoenix workshop and from the moment I signed up for the class, instantaneously I was blessed with energy downloads ,alignments and healings everyday and during my sleep time too. At one point I saw light language screening down and golden lights downloaded through my pranic tube and felt it flowed to the earth. Intuitively I know the masters and guides need to prepare my physical body for the workshop.